The most powerful and the one of the most fuel-efficient Porsches ever, the 918 is also a superb high performance sports car. With its quick, intuitive steering and perfectly tuned suspension, it makes its outrageous power output easy to keep in hand. It attacks corners as if they'd threatened its life then, when there's straight road ahead, flees the scene with shocking speed. Driven gently it can go 12 miles on electric power before starting its gasoline engine but, once that twin-turbo V8 starts roaring, it puts out a grand total of 887 horsepower. 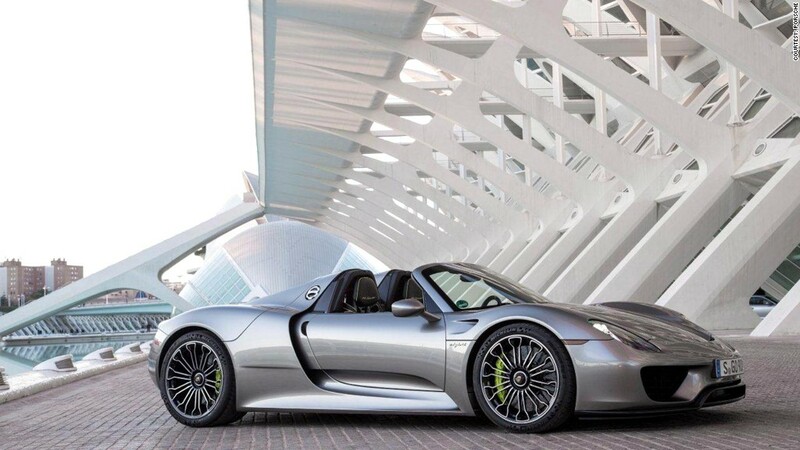 The 918 Spyder can get to 60 miles an hour in under 3 seconds and then continue rocketing all the way up to 211 miles an hour.